Is film really dead? Or are movie universes just the next medium for creativity? Ryan Bull and Richard Lusk investigate. A grim proclamation, yes, but the sentence that started in melodramatic circles of snobbish film critics has come to bear more accurate meaning in the modern cinematic world. As we creep further into the 21st century, movie fans can’t swing a dead cat without hitting another bloated sequel, reboot, or remake from the major production studios. Series upon series and ever-growing cinematic universes continue to rake in box office earnings without much effort, snatching our $10 for tickets and leaving unnerving questions once the popcorn is gone. Is the era of creativity and original film gone? Has entertainment become a game of content over quality? Are all movies and TV shows going to condense into massive cinematic universes? Who can shed some sense on the perilous predicament of moving pictures? Part III. Future or Fin? When exploring the topic of movie universes and sequels, it is necessary to consult the professionals. In Part I of the “Death of Film” series, creators and hosts of the LaF Podcast Richard Lusk and Ryan Bull discuss the origin story of movie universes and their growth in the box office. Go open a new tab, type in the name of your nearest movie theater, and look at the list of movies playing. What do you see? Do you notice something a little strange? Look closer. I’ll bet there’s at least one Marvel movie, more sequels or installments in a series, and maybe a Disney “live-action” remake for good measure. This isn’t psychic vision here- it’s the pattern of the modern movie industry. Original films are small potatoes. Instead, theaters are looking at three live-action Disney movies, three new MCU movies, and unavoidable scores of sequels just in the next six months after this article’s publication. This begs the question- how did this happen to film? 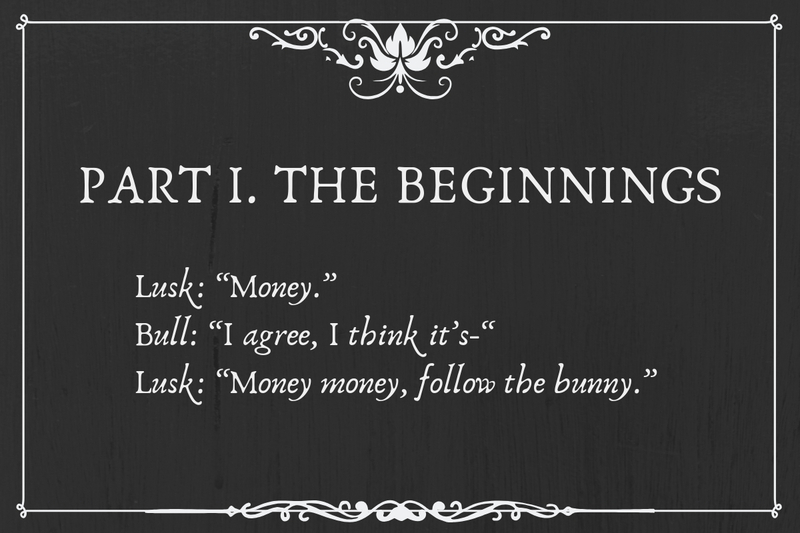 The origin of the sequel is not hard to pin down. When a movie is successful and the story can be extended past one release, logically production companies will follow up films with a sequel. After all, if you already have a fan base for a movie, it’s even easier to make money off the next installments because there’s a guaranteed audience. Sequels now are often planned before the first movie even comes out, with most studios aiming to hit the jackpot “franchise” status with every new idea. 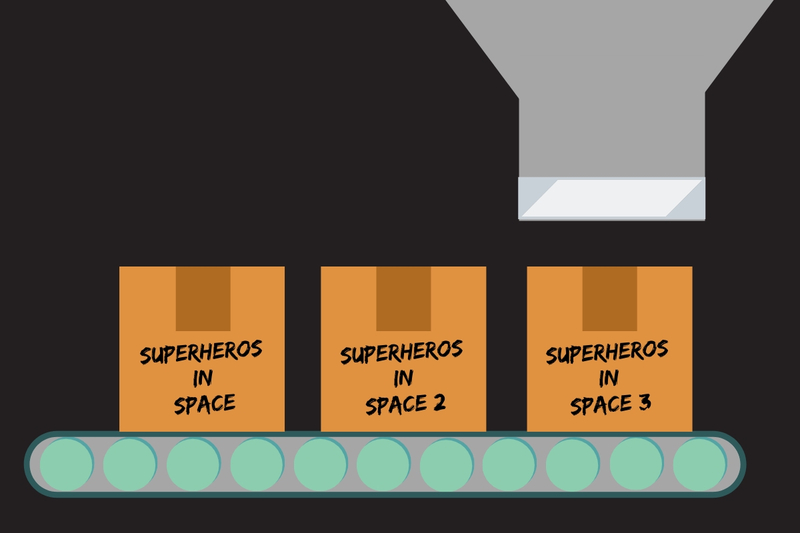 Production studios crank out sequels and series with the speed of a finely-tuned factory machine. Nowadays, studios have extended this moneymaking logic even further, creating massive universes – like the infamous Marvel Cinematic Universe, or the new kid on the block, JK Rowling’s Wizarding World. These franchises can support multiple movies in theaters at the same time within the same year, layering on characters, crossovers, and callbacks to other aspects of the universe to keep fans coming to the movies. The first instance of the movie universe is hard to pin down. Some people, like horror film fanatic Bull, trace crossover entertainment to the horror films of the late 20thcentury, which used hints of other characters to build anticipation for sequel movies (even if those films didn’t come into fruition until decades later). Others, like Lusk, see slight crossover happening even earlier, like the combination of literary heroes Cyrano de Bergerac and d’Artagnan the Musketeer in the campy 1964 French adventure flick, Cyrano et d’Artagnan. These are not quite at the successful “universe” level of franchise function, however. Many film buffs generally agree on Star Wars being one of the first franchises to latch onto the universe shtick, starting with a trio of movies that launched comics, books, video games, cartoons, 6 more feature films, and an ill-fated Christmas special. “That would be the most obvious example because those cartoons came out in the 90s, right, and then you had the prequels. So you had, not just in terms of movies, but just in terms of like fiction and fictional representations, like cartoons, like comic books, and novelizations of the movies, and they took different characters in different directions,” Lusk reasoned. Even the silver screen is getting in on the action. The CW notoriously houses a host of intertwined DC Superhero shows in their “Arrowverse,” named for the Green Arrow. Netflix supports a bulk of Marvel’s supporting tv series, and the production company joined efforts with the CW to create the incredibly macabre Archie Comics universe, which currently supports the series Riverdale and Chilling Adventures of Sabrina. 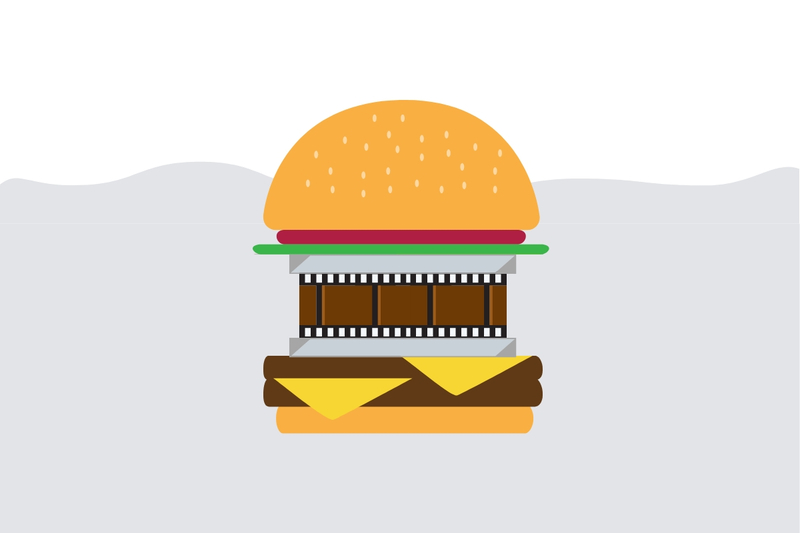 The box office hits today are like McDonald’s cheeseburgers, says Lusk. Movies are in a period of unchecked and unparalleled growth. Expansion into series, universes, and reboots is consistently popular and bankable. From the humble origins of three-part series and single-story superhero movies comes the great hulking beast of 21st century film production. How do the movies look today? 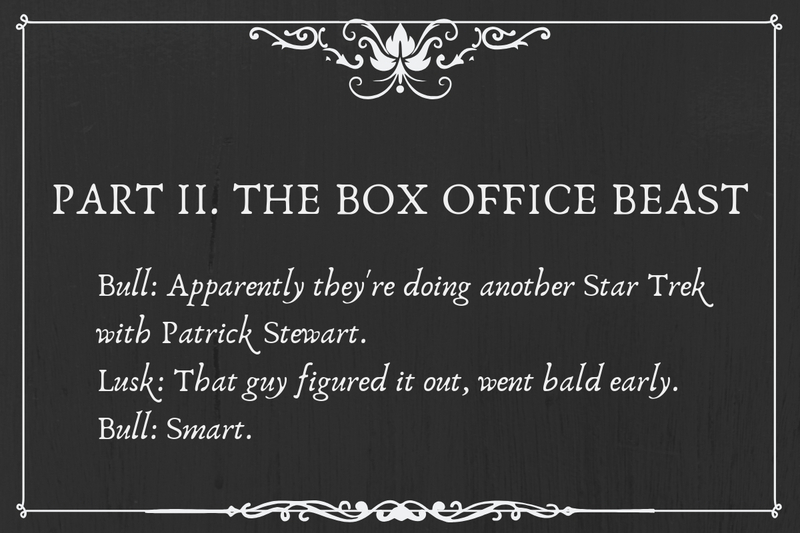 When exploring the topic of movie universes and sequels, it is necessary to consult the professionals. 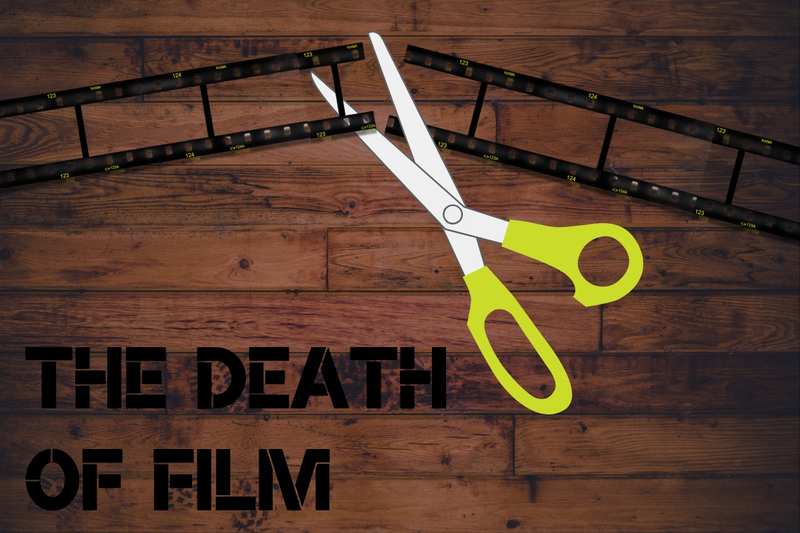 In Part II of the “Death of Film” series, creators and hosts of the LaF Podcast Richard Lusk and Ryan Bull discuss how franchises and universes dominate the box office and what happens to story quality once sequels start rolling. It’s often said that if you haven’t started watching Marvel movies by now, you ought to give up – just getting through the official phase films of the Marvel Cinematic Universe (as of January 2019) would take close to 43 hours, and that’s not even considering supporting movies, Marvel TV shows, or Marvel’s major phase 4 blockbusters coming to theaters over the next few months. Marvel is just one of the hulking (pun intended) enterprises dominating movie marquees today- the box office beasts. Its fellows include the likes of Star Wars, the Wizarding World, and Disney’s live-action and sequel domain. What’s worse? Three-quarters of those heavy hitters are all under the ultimate control of a few people at Disney. So how do these massive universes and series get to such a successful standing in theaters? Besides ungodly amounts of money from production studios (here’s to you, $379 million budget for the lackluster Pirates of the Caribbean: On Stranger Tides), these films have successful formulas and a fan base devoted to their success. These studios have had years of practice to determine exactly what sort of plot, special effects, and casting they need to make the most money at the box office- and you can be certain that they’ll stick to the formula. 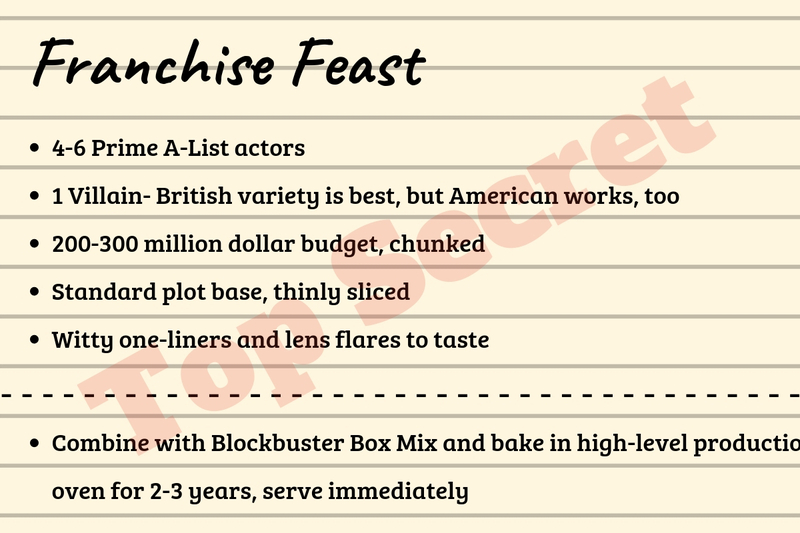 The secret to a successful franchise film is a careful combination of money, the right star power, and a massive fan base. “That’s the thing with these franchises- there’s always going to be weak links, and you can’t appeal to every single person,” Lusk reflected. 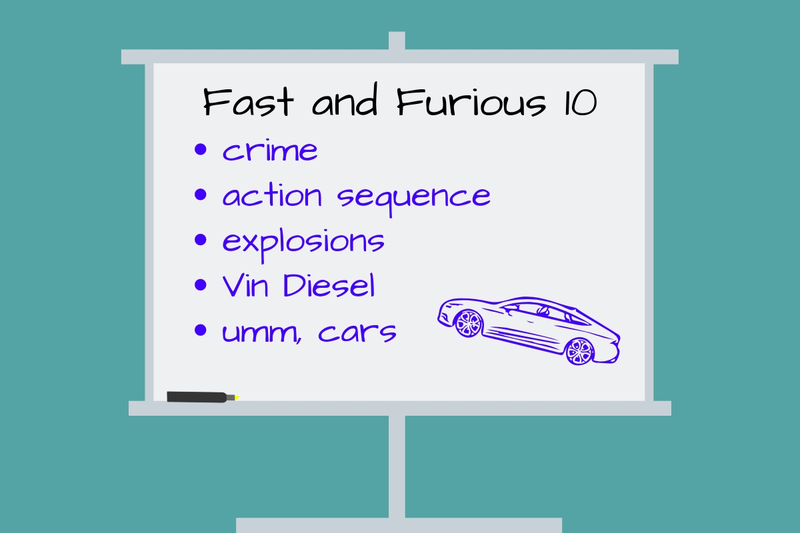 Scores of failed sequels come to mind, from Indiana Jones and the Kingdom of the Crystal Skull to shortcomings in the Fast and Furious franchise. Formulas can be a crutch for lazy, even flat out bad, storytelling. Originally well-received and innovative movie concepts sag with the dragging weight of cheap spin-offs and unnecessary installments. And, yet, the fans continue rushing to theatres every time their favorite series is revived. There comes a point in every franchise when there’s nothing new left to do. Take for example the recent revival of Star Wars. After three critical and pop culture milestones with Episodes IV-VI, George Lucas came back in the late 90s-early 00s with three prequel episodes and far too much access to CGI. The resulting films were a perfect storm of mediocre acting, rough special effects, and insufferable side characters that marred the series and became the punchline of jokes from fans and critics alike. In the 2010s, it was announced that JJ Abrams- the mastermind behind the successful modern Star Trek films- would be taking the reigns and releasing a slew of new episodes starring a new generation of heroes. His films would be heavily reliant on cameos from the original cast, hints of the original series, and familiar storylines just to keep audiences in the seats. Lusk chalked this success of the recent Star Wars movies up to a potent combination of nostalgic references and adaption to earn the affections of fans both new and old. “Fans want more of the same,” commented Bull. “In music we want the same bands, in literature we want to read the same authors, but with movies we don’t want new original properties. We want Lucas to just keep making Star Wars, we want James Cameron to keep making Terminator, we want Alfonso Cuarón to come back and do the Harry Potter films and not let David Yates ruin the franchise,” he joked. The last part of the sentence brings up an interesting point in how fans feel these universes are handled. The Yates-directed films in the Harry Potter franchise have often been chastised for their gloom, butterfingered approach to the source material, and overall inferior artistic direction in comparison to earlier installments (notably Harry Potter and the Prisoner of Azkaban, directed by Academy Award-winning director, Alfonso Cuarón). In recent years, fans of the original series have pushed back even more against the creator of the universe, author JK Rowling. Rowling’s retroactive changes to key characters, plotlines, even timelines, as she crafts add-on plays and movies to her wizarding world have left fans angry with what they see as a lack of regard to the original source material. Whether she’s revealing unpleasant factoids on twitter or claiming that the villainous Lord Voldemort somehow had a secret child in the seventh book, fans have equally laughed and raged in the face of Rowling’s world-building, with her creative process becoming a cruel internet meme. 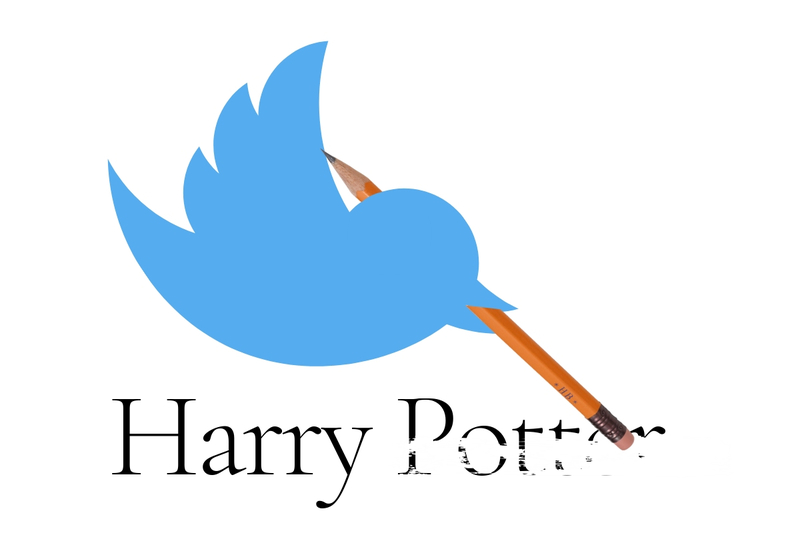 Fans mock JK Rowling as she continually uses Twitter to rewrite her classic children’s series. A massive fanbase and strong dedication to the franchise universe really only benefits the studios and producers behind the movies. Every new addition to Star Wars or Marvel will have a guaranteed audience, every movie they put out is guaranteed to be a relative success. Fans’ feelings are not going to stop them from buying a ticket to the next installment, but instead the disappointment or confusion in the lackluster story is targeted toward the authors and creators behind the original content, who are often minimally involved once a universe takes off. So universes and franchises can misinterpret original creators, they can leave fans disappointed, and yet they’re the most bankable movies on the market. These hulking box office beasts secrete sequels at an extraordinary rate, and their unchecked power makes them the face of 21st-century film. But what happens to the little guys? What happens next?